This Blog Because . . . .
Hello folks! I’m back! 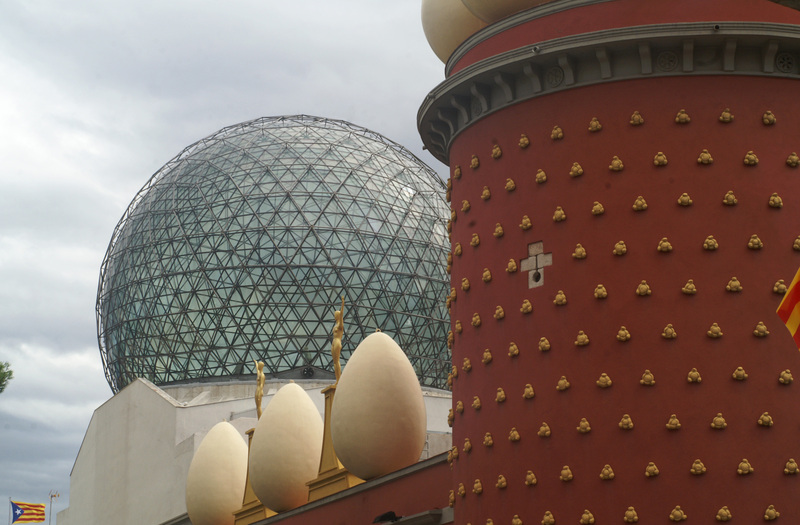 I was travelling during September from Barcelona to Nice on a Picasso-themed journey. Not only did we visit thrilling Picasso museums, historical sites, and architectural wonders like Antoni Gaudi’s spectacular “La Sagrada Familia” church in Barcelona, and the Dali museum in Figureres on our way out of Spain, we also were provided with a two- day respite from art and architecture in the sea-side village of Coulioure, just inside the French border with Spain. Coulioure is an Appellation d’Origin Contrȏllée (AOC) just across a little bay from Banyuls-sur-mer, itself established as an AOC in 1935, making it one of France’s oldest AOC’s (according to my French Wine Scholar manual). The center-piece of our two-night stopover in Coulioure was a visit to Domaine St. Sebastien—an independently-owned winery in Banyuls. 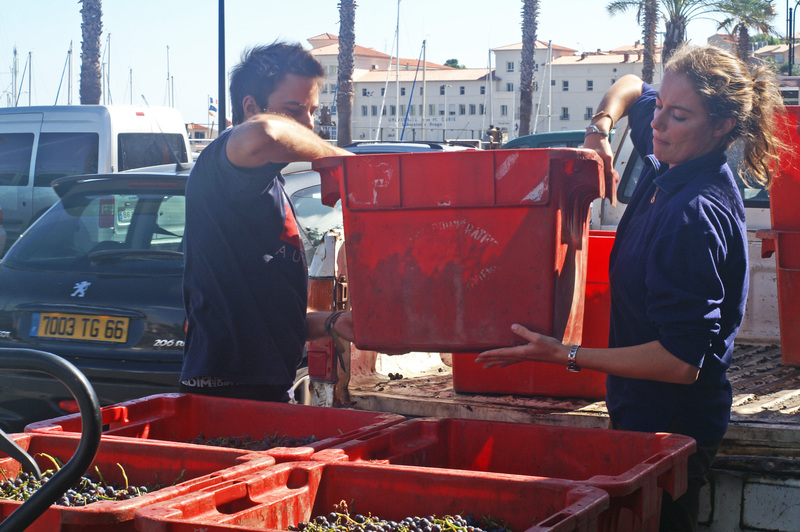 The morning after our arrival, we joined our tour guide at Coulioure’s port for a motor launch ride to Banyuls, where proprietor/winemaker, Romauld Peronne, was awaiting us at Domaine St. Sebastian. 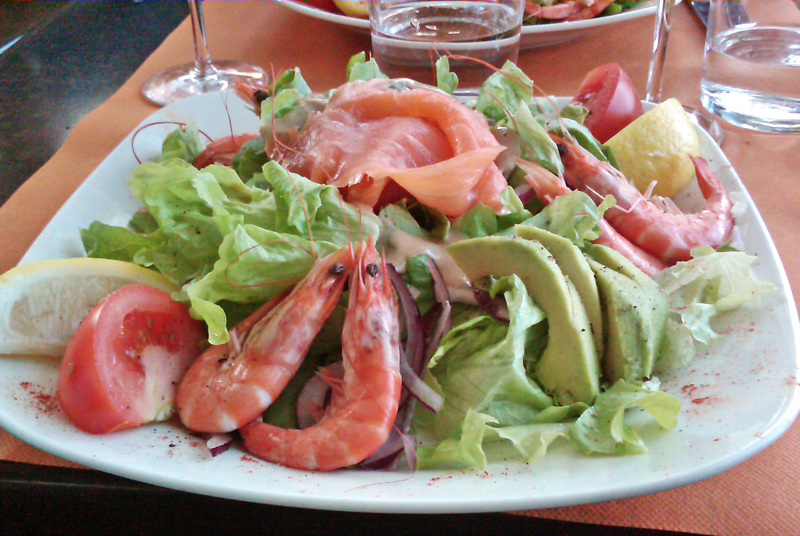 We were also to have lunch in the winery’s garden restaurant (Le jardin de St Sebastien). While my travelling companions went inside the cellar (la cave) to hear Monsieur Peronne describe the winemaking process, I stayed outside to try for some photos of the unloading process. The mid-morning Mediterranean light was bewitching. The tubs were being unloaded onto a hand-trolley for transport through the tasting/retail sales room into the cave. The entrance to la cave is on the Avenue Fontaulé, directly across from Banyuls-sur-mer’s seaport. 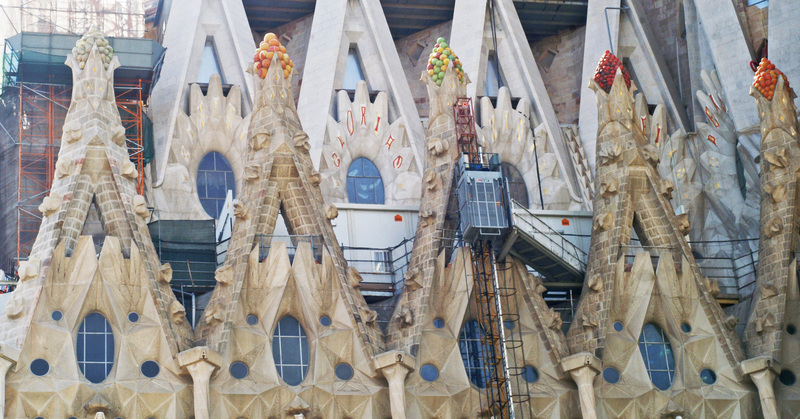 Inside, the grapes were dumped into a hopper from which they were lifted to the crusher by a tiny elevator with shelves. 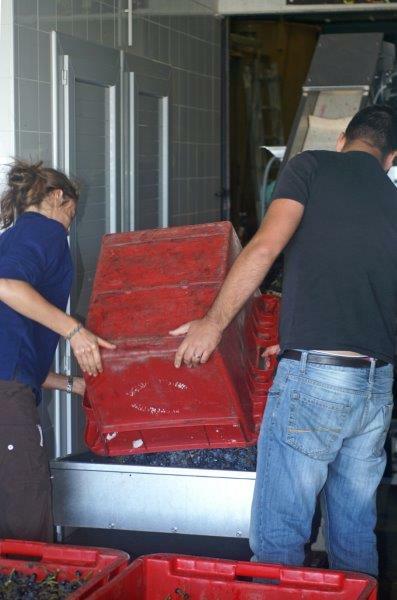 The equipment at the winery was traditional, and performed smoothly to the operation. I found the situation interesting, refreshing—and unexpected—as if I’d stepped back in time, when life was more peaceful and authentic. While AOC is the top rung on the French wine quality control pyramid, in that the delineated zone of production is smaller in acreage and has tighter restrictions on maximum tonnage/acre production, minimum alcohol percentage, and the varieties and percentages of varieties allowed in the wine of the AOC than has the next lower rung, Vin de Pays, AOC by itself does not indicate quality. 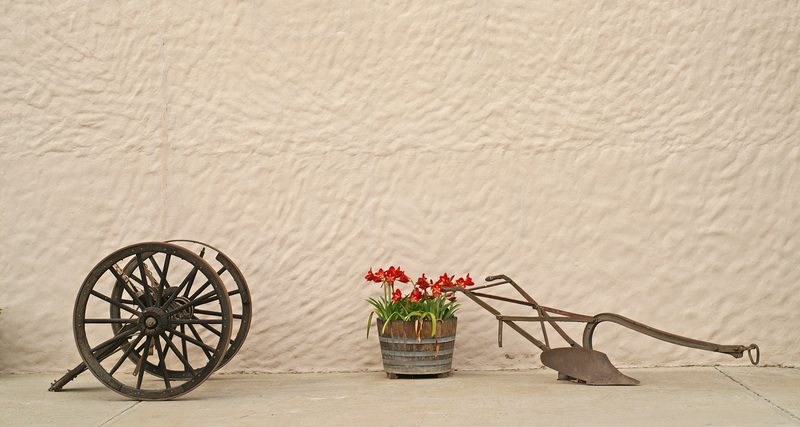 Factors such as vintage, technology, and winemaking practices are equally important in determining quality. This is an important point. [In a later posting, I will be discussing AOC further as well as the detailed ranking systems for vineyards used in some of France’s regions, together with an explanation of American Viticultural Areas (AVA) and Canada’s Vintner Quality Alliance (VQA—the only ranking among the three that actually contains the word “quality,” and is a quality designation: a VQA collar on a bottle of Canadian wine indicates that the wine has met VQA standards of quality]. 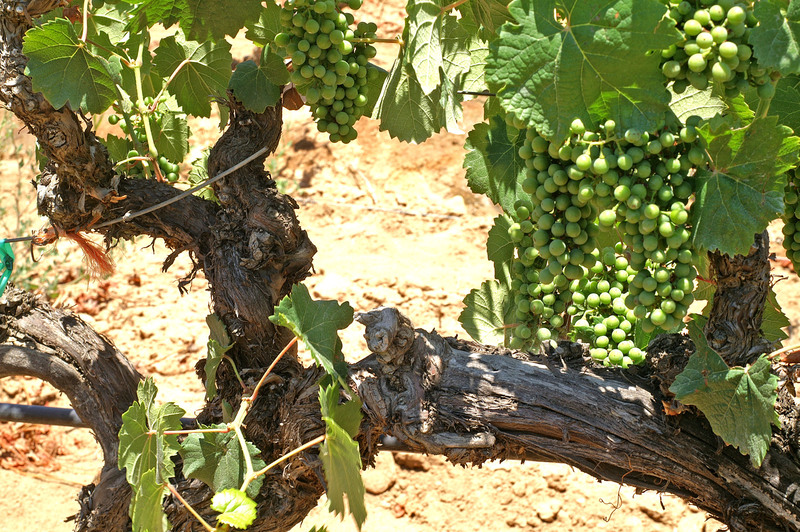 Since Roussillon, the regional AOC to which Banyuls and Coulioure belong, was a part of Spanish Catalonia from the 1200s to the 1700s, the major varieties of this region–Grenache Noir, Carignan, Mouvedre, and Grenache Blanc—are Spanish and were originally planted by the Spanish during their 500-year occupancy. 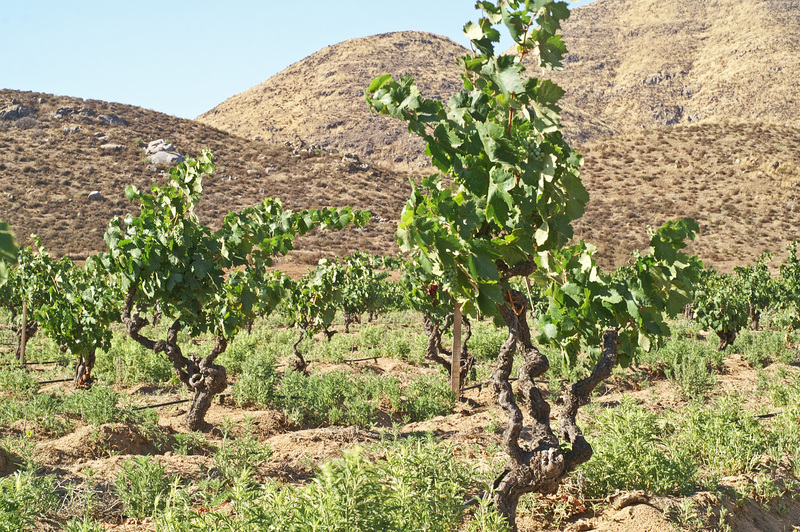 Spain’s traditional winemaking styles, which tended towards full-bodied spicy reds and slightly oxidized whites, also became mainstream and still influence winemaking in the region today. Roussillon, in fact, is considered French Catalogne. 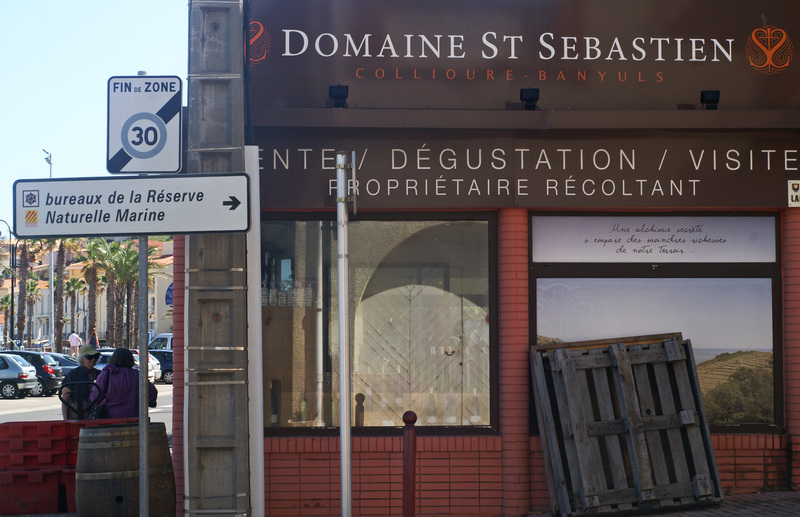 At Domaine St. Sebastien, Peronne makes wines under both Banyuls and Coulioure Appelations. 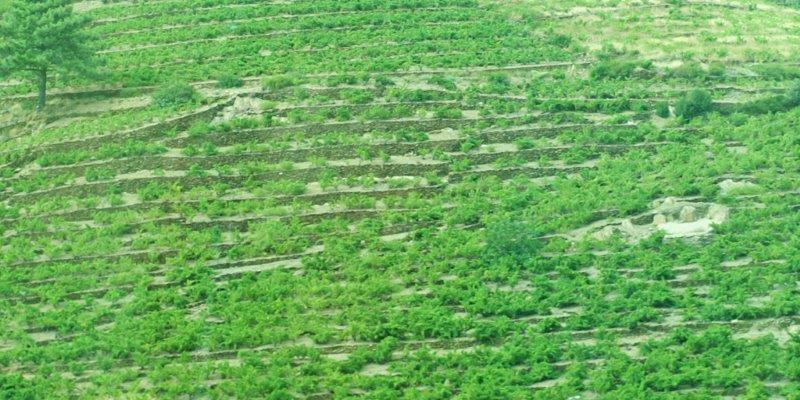 Banyuls is the ancestral AOC and its vin doux naturel (VDN = sweet) wines are its ancestral wines. Coulioure AOC, established in 1971, was the first in the region for dry red wines. 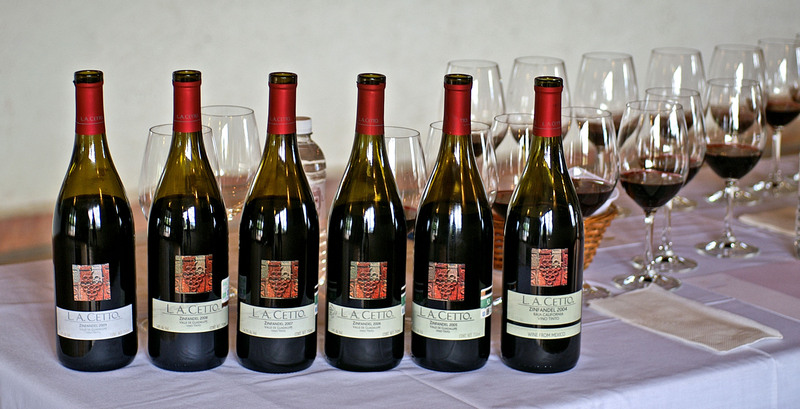 Noted for their rustic, tannic, and spicy character, the wines were made from a combination of 60% minimum of Grenache Noir, Syrah, and Mouvèdre, the balance from other accepted regional varieties. 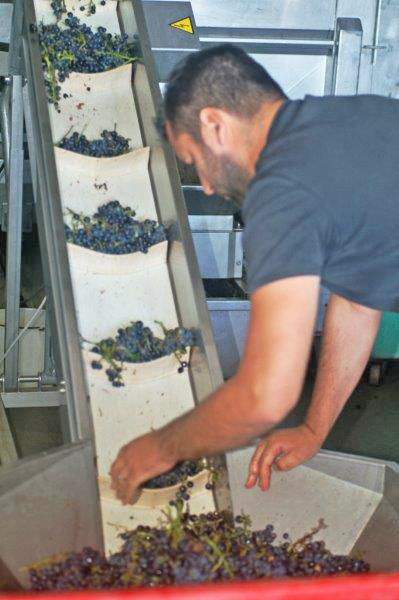 Today, dry whites, rosés, and reds are all produced under the Coulioure AOC. Domaine St. Sebastein’s series “Empreintes” (Footprints) under AOC Coulioure provides the best expressions of Grenache from the schiste hillside vineyards, believes Perrone, since it is the emblematic and dominant variety in all its dry table wine blendings: white, red, and rosé. 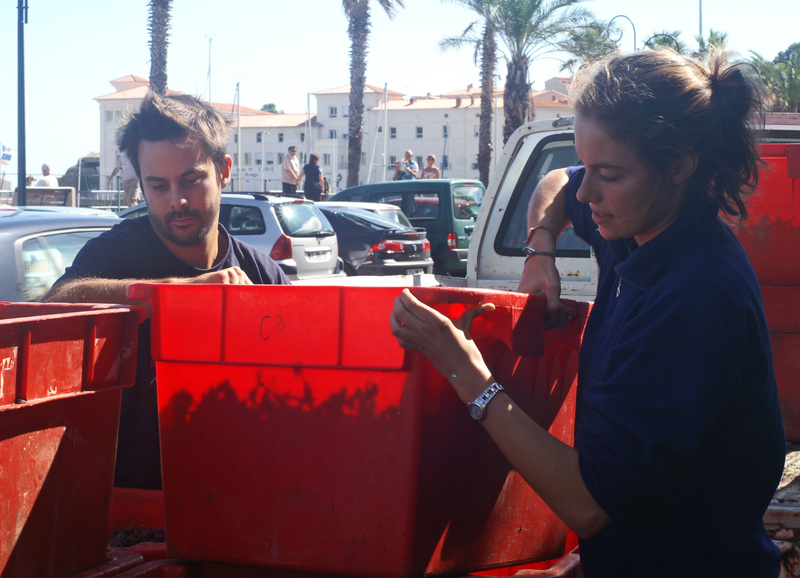 A white and a rimage (reductive red) “Empreintes” wine are produced under Banyuls (VDN) AOC. Little if any oak is used in the cellaring of Empreintes series wines. 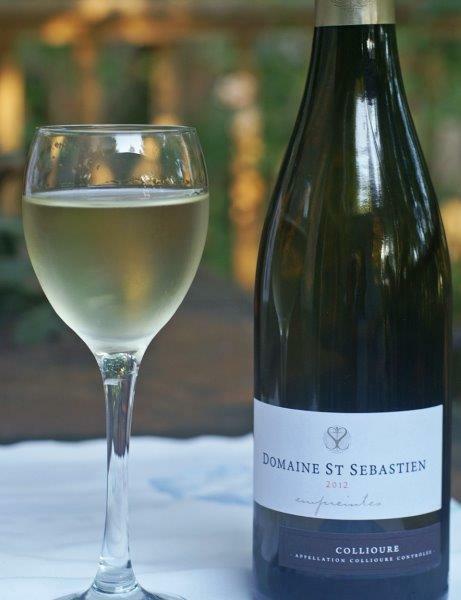 Domaine St. Sebastien’s estate vineyards consist of 14 hectares of old growth vines on terraces that can be harvested only by hand. 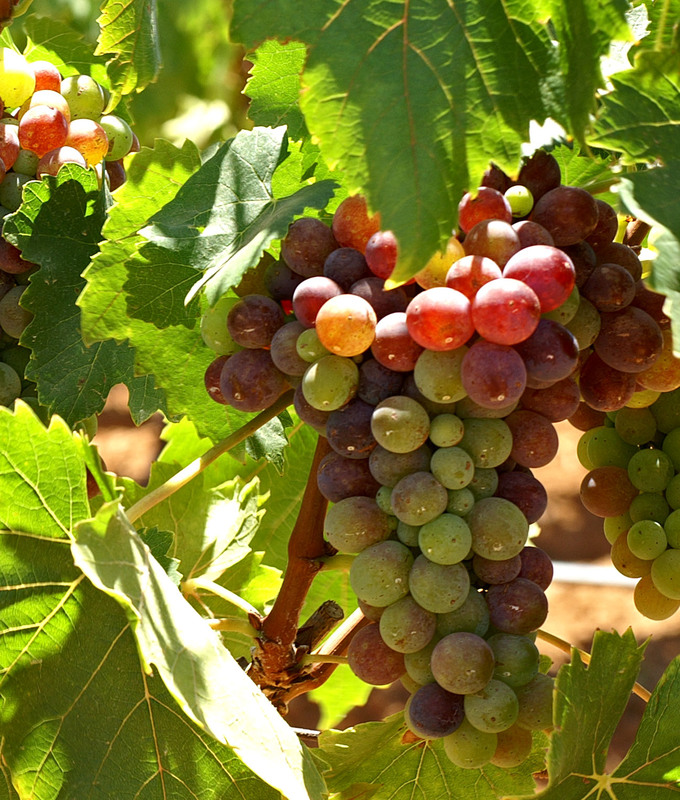 As its website proudly states, its goal is to produce wines in accordance with the traditions and knowledge of past generations while relying on techniques and current agronomic and oenological knowledge. Chief among current winemaking techniques for Domaine St. Sebastien is the practice of ageing its red wines for the “Inspiration” series, its signature wines, in 100% new French (Alliers) oak for one year. 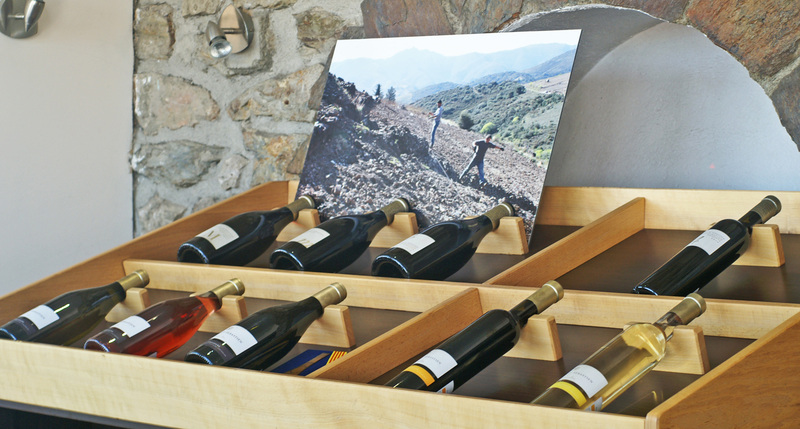 (New oak barrels are still widely considered a luxury in the Roussillon region.) The wines in the series “Inspiration” are “wines with a strong personality whose specificities and particularities” are highlighted. For Domaine St. Sebastien’s owner/winemaker Peronne, the robust character of hillside Grenache in this series needs the influence of new oak to create the style of wine he feels best suited to fruit from his historic vineyards. Even his Coulioure “Inspiration Minerale” (a Grenache Blanc blend) sees about 9 months in new Alliers oak. Of course, since AOC does not necessarily designate “quality,” the test of these wines would be how they paired up with the lunch that was awaiting us in Le Jardin de St. Sebastien. I was ready! Soon we were all assembled and seated in this lovely seaside garden restaurant, with bottles of both white and red wines from the Empreintes series on the table. Since our menu featured seafood, I opted for the Coulioure Blanc, vintage 2012. At first sip, I thought I detected a trace of residual sugar. But once my first course of seafood on a bed of butter lettuce arrived, all hint of off-dryness disappeared, leaving only a fresh crisp wine with loads of citrus, green apple, and mango aromas and flavors. The wine was perfectly suited to the regional food. I was happy. And from the rising level of conversation from our large party, I concluded that the others were equally happy. I also sampled the Coulioure rouge during the course of our lunch. It was an equally delightful wine, with young fruit, yet spicy and robust. 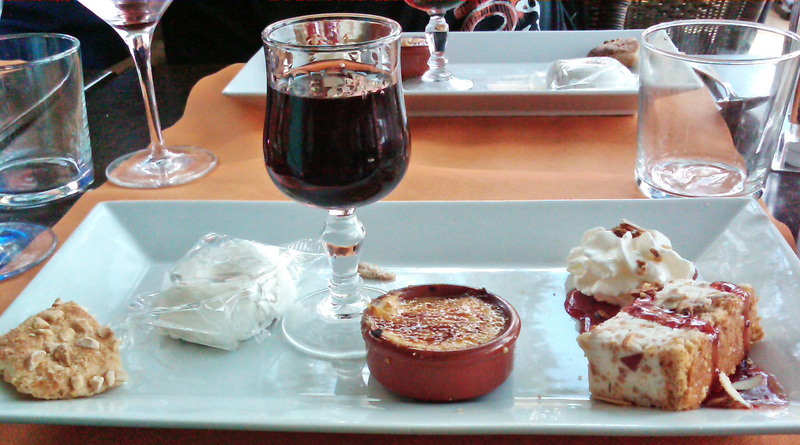 Our dessert course came with a luscious glass of the ancestral Banyuls VDN. It couldn’t have been a better close to a delightful day. During my French Wine Scholar summer course in 2010, the entire South and South-West regions were left to our last day, a morning session for the South-West, and the afternoon for Roussillon, Languedoc, and Provence. To say I left feeling both confused and overwhelmed was a great understatement. However, by studying the regions in terms of wines from these AOC’s that I occasionally bought, I had been gradually acquiring a clearer picture of the regions and their AOCS and the grapes that made up their production. To have found myself just a few weeks ago actually in the region of Roussillon during our stopover at Coulioure and our one-day visit to Banyuls, and seeing the vineyards and mountainous topography from the windows our luxurious bus as we made our way out of Spanish Catalonia to French Catanlogne, and then to visit an independently-owned winery that produces hand-made wines from these two AOCs, provided me with much-needed visuals and tastes. It was astonishing, actually, and amazing to me to see wines in this region still largely made by hand at every stage, with emphasis on vineyards and grapes and the focus on producing them in a traditional yet cost-effective way. Even oak-aged wines of the region are available at just €22 (or about $30 US). Discovering Domaine St. Sebastien was like discovering a little jewel of beauty and authenticity among the larger and more famous “chateaux” and “maisons” of the Roussillon/Languedoc regions. It also gave me new appreciation for the Grenache grape and the wines made from it—it was a visit and wines I shall long remember. 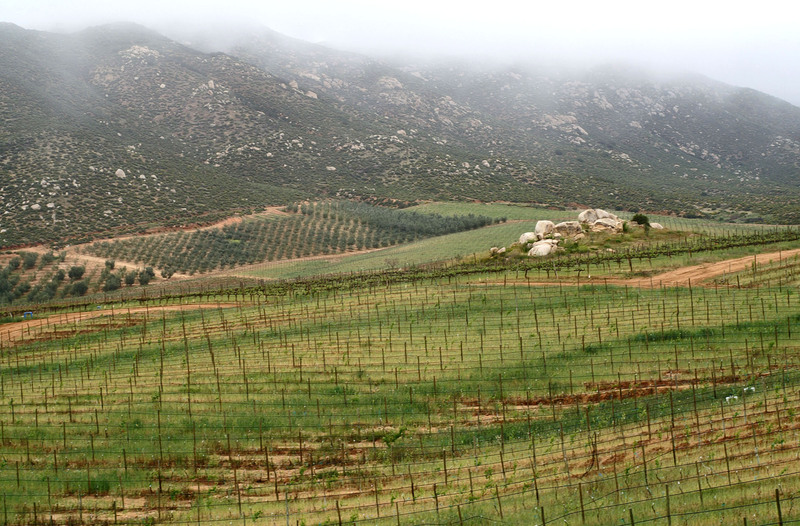 The successes of Camillo Magoni and Vinos L.A. Cetto (together with Bodegas de Santo Tomás) have attracted many new grape growers and producers to the Valle de Guadalupe region in the past decade and a half. 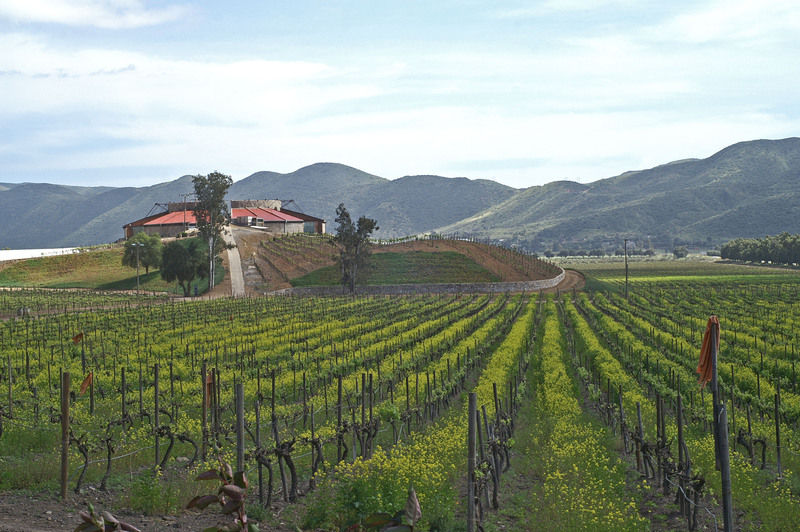 Bodegas de Santo Tomás, situated in the lush and beautiful Santo Tomás valley, which lies a few kilometers south of Ensenada, was established in 1888, making it is the oldest winery in Baja. Lara Vamoria, self-taught winemaker for Bodegas de Santo Tomás since 2005, is not only the first female winemaker in Mexican wineries, but as well is the first Mexican female winemaker. Her innovative study of the effect of vine age on wine character of Tempranillo is one more example of the innovative studies towards improving wine quality being conducted throughout the region. 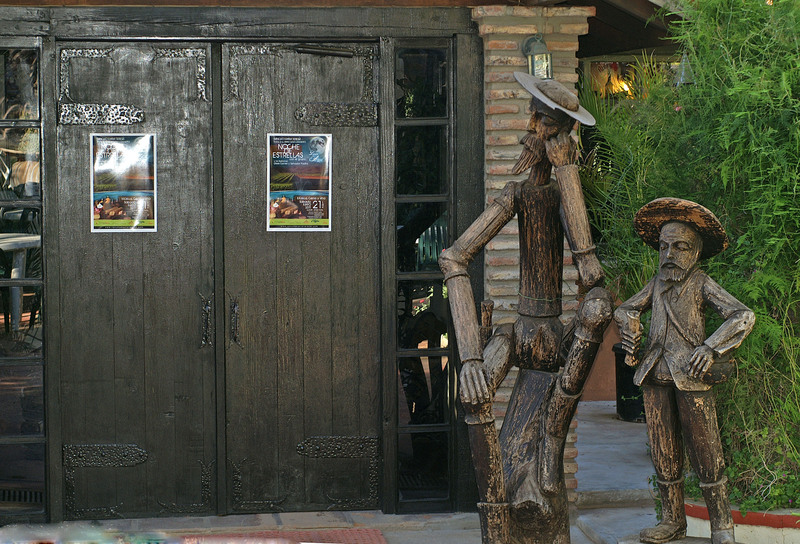 The newcomers, inspired by the achievements of Magoni and Bodegas de Santo Tomás, are bringing in their own philosophies of grape growing and winemaking, and have also begun earning worldwide recognition for their wines. 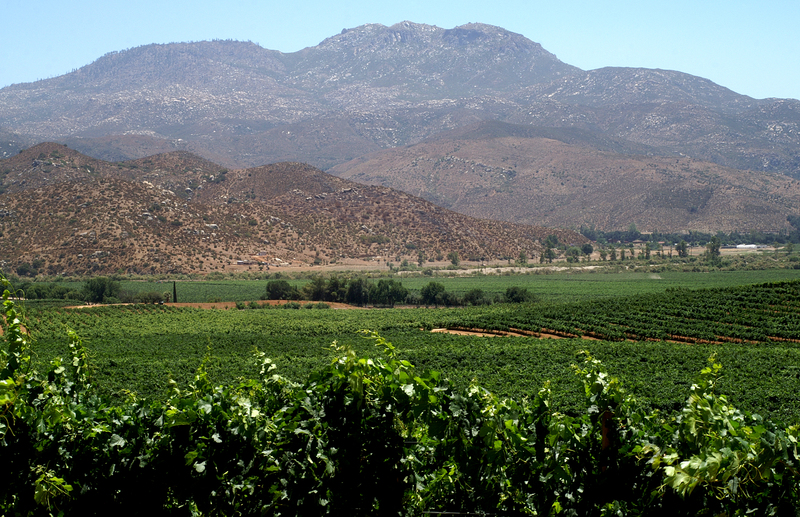 “The small producers coming into Valle de Guadalupe are very important for the promotion of the potential of the region, and to offer different style of wines for the consumers,” Magoni emphasizes. Not deterred by this and other challenges, among the small producers now flourishing in Valle de Guadalupe are several who have returned in the past 15 years to join in the excitement of producing distinctive Mexican wines from this region, and to experience the enthusiasm with which the local and regional consumers and tourists are embracing their wines as accompaniment to the excellent Mediterranean/Mexican Fusion cuisine that has grown up out of the same land that has produced the wines. Exquisite local cheeses and artisan breads also abound, and make perfect accompaniments to the superb local wines increasingly available. 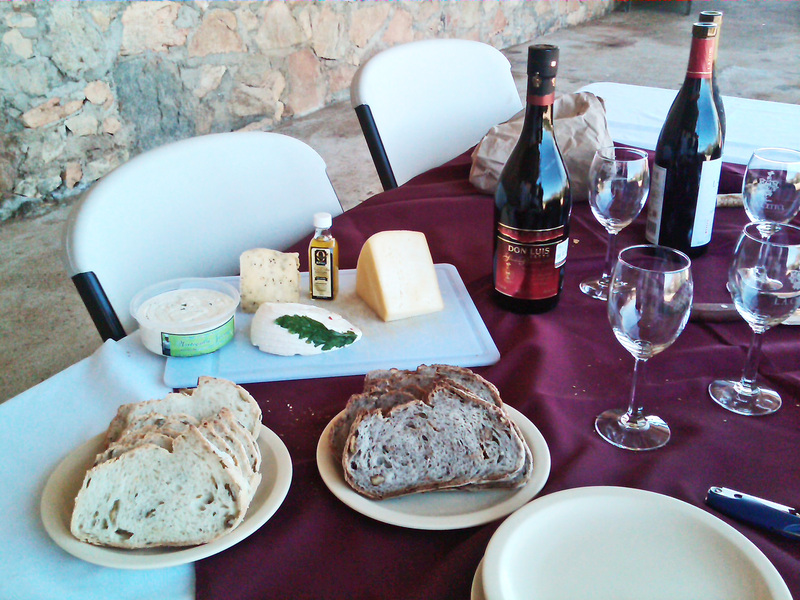 Local fruit of the land–bread, cheese, Vinos L.A. Cetto Wines–make a tasty vineyard lunch! 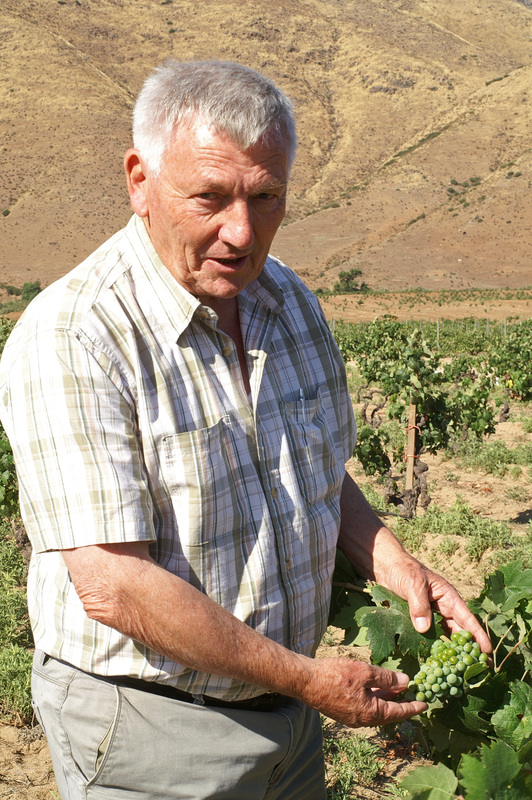 Magoni’s influence in the region extends beyond wine production. A couple of wine writers from Europe have suggested that because of his achievements in transforming Valle de Guadalupe, Baja California, Mexico, into the world class wine grape valley that it is today, and in winning international acclaim for Vinos L.A. Cetto wines from these vineyards in the last decade and a half, Camillo Magoni should be recognized globally as perhaps the most significant winemaker living today. It was June 1996 when I found myself in Cucamonga Valley, which lies about 60 miles east of Los Angeles, as part of my search for historic Zinfandel vines. I thought I was about as far afield as I could get from the more famous North Coast Zinfandel regions of Napa, Sonoma, and Mendocino counties, and the Sierra foothills. Then I met Don Galleano (story to come), owner of the historic Galleano Winery, Mira Loma (now listed on the California and National Register of Historic Places). Galleano recommended that since I was this far south, I should cross the border into Baja, since he knew of a big planting of old Zin vines hidden away in a little valley somewhere between Tecate and Tijuana, owned by the Cetto family in Valle de Guadalupe. With the help of a guide from Vinos L.A. Cetto, I found the lovely old Zinfandel vineyard, and so much more: I found Camillo Magoni, winemaker since 1965 for the Cetto family. From my first and subsequent meetings with Magoni that summer of 1996, he impressed me both as a winemaker and a person. It was, however, during my return visits to Valle de Guadalupe in spring and summer of 2011 that I experienced first-hand the full range of Magoni’s accomplishments—unparalleled at least in my experience. I had gone down in early April at Magoni’s invitation to see what they “had been up to” since my last visit about 10 years earlier. It was a beautiful day, with the sun breaking through some early morning fog that had drifted into the Valle overnight from Ensenada. The vines were just leafing out. After meeting Camillo at the winery for a vertical tasting of six vintages of Zinfandel, it was time for lunch with Mr. Cetto and his guests (of which I was privileged to be one). Following lunch, it was on to a tour with Mr. Cetto of the upper end of Valle de Guadalupe, near the headwaters of the River Guadalupe. The late afternoon light coming through the misty hills was so beautiful that I suggested to Camillo that we walk back to the winery. I wanted to try for some photos. So we exited the vehicle, and in the exquisite quiet of that secluded little vine-filled valley, we walked, I made photos, and Camillo talked—about the vines, the valley, and his philosophy of winemaking. 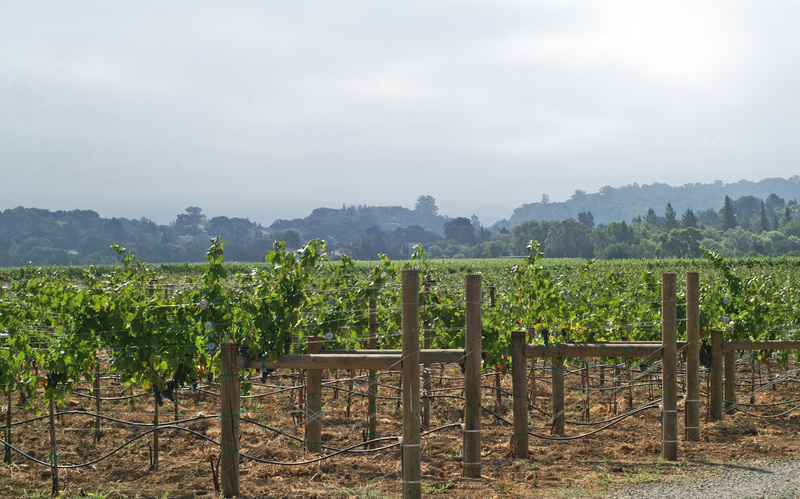 The region enjoys a Mediterranean climate of sunny days cooled by breezes flowing inland from the nearby Pacific Ocean, fog-shrouded nights, and mineral-rich soils of varying compositions—all the components necessary for producing superb wines year after year. In such an environment, Magoni’s philosophy of winemaking comes down to one phrase: understanding grapes. 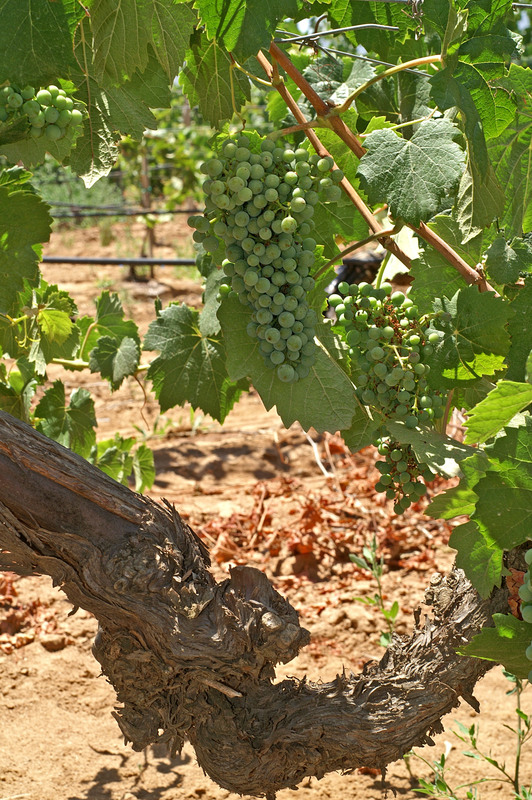 When Magoni arrived in Valle de Guadalupe in the mid-1960s, the roads into the Valle were dirt, and only three varieties of grapes were planted, he said. 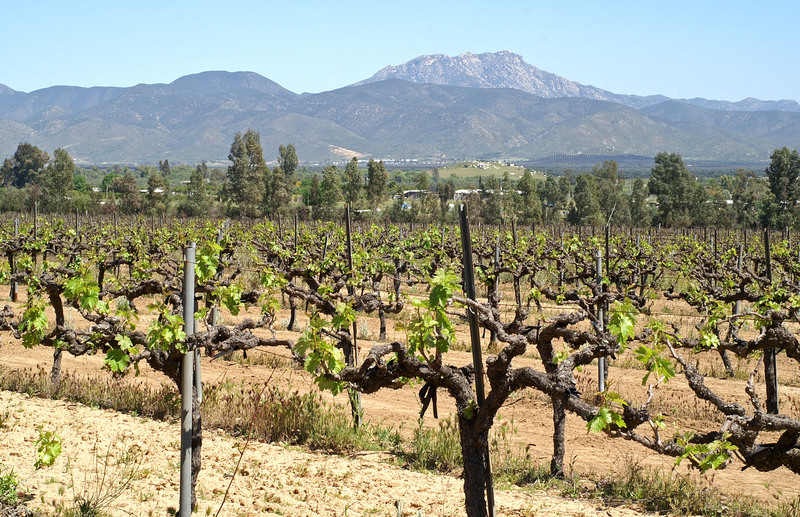 Today, there is a paved motorway (Hwy 3) leading up from Ensenada, and the Cetto vineyards consist of 30 varieties of top European varieties covering over 1,200 hectares. Among the most prestigious for Vinos L.A. Cetto are Zinfandel, Sangiovese, and Nebbiolo (Cetto Vineyards boasts the largest planting of Nebbiolo—134 hectares–outside the Barolo region of Italy). Each of these varieties presents special challenges and requires particular understanding in order to produce the world class wines deserving of the Vinos L.A. Cetto label. For Camillo Magoni and Vinos L.A. Cetto, it’s well worth the wait. 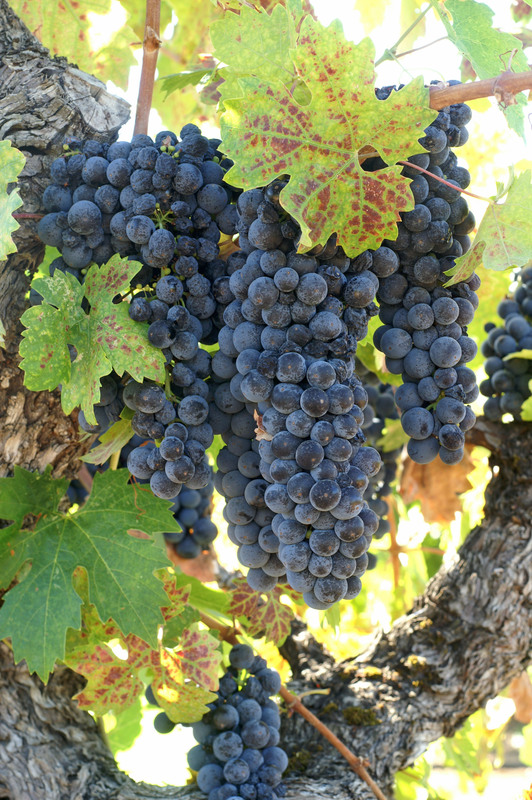 Sangiovese was the most difficult grape for Magoni to get a handle on. For Camillo, there is no other way. When I asked him if he were saying that he knew the composition of all 30 varieties of grapes in Cetto’s vineyards, he replied with a little laugh that was in no way self-deprecating, “I’m saying that. It is imperative to know each one to assure the best quality wine as possible.” And if he makes a mistake in his understanding of a variety or a vintage? “Well, we just don’t bottle it,” he replied. When words are chosen with respect for their meaning, their power can be awesome. All in response to just seven thrilling words. As a writer and professor of English, I was left in awe of the simplicity, power, and poetic beauty of this amazing note, and was inspired to launch my own response to the power of these seven words that still give me goose bumps each time I read ithem. I wrote “Seven Words that Moved the World” (below) in the weeks following the dramatic rescue of “Los 33,” then put it away. Recently, I came across a small selection of Chilean wines in the South Pacific section of wines in a local store. I was intrigued by the language on the labels. It told you what you needed to know, and left you to figure out the rest on your own. 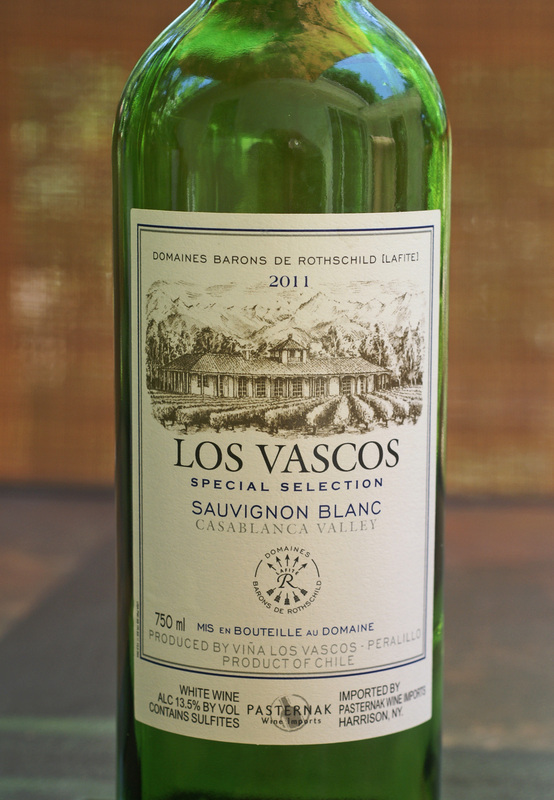 It was enough to enticed me to buy a couple of samples: a 2011 Los Vascos Special Selection Sauvignon Blanc ($14); and a Viu Manent Estate Collection 2011 Malbec ($9). This power of a few words to generate action inspired me to turn again to my piece on the Chilean miners and the powerful note they had written for their rescuers. 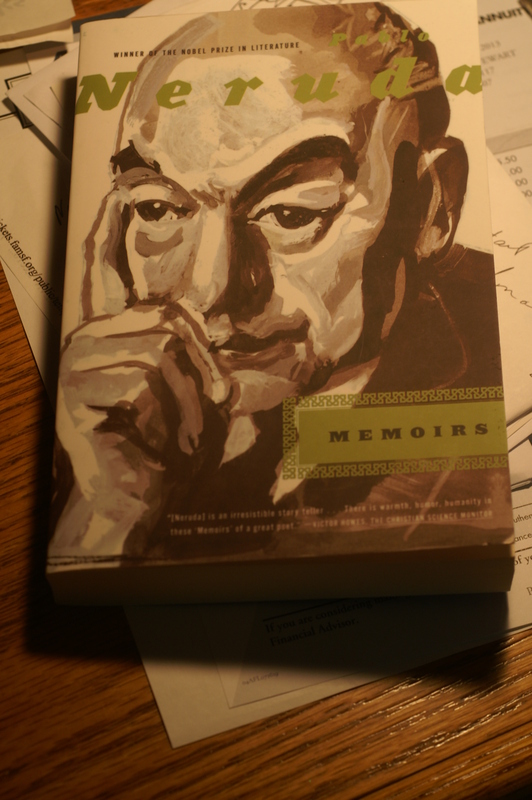 In my search for some clues to what I was beginning to regard as a cultural understanding by Chileans of the power of words, I reread Neruda’s Memoirs. Just as wine is a product of the earth the grape vines grow in, and “of the sun and rain that fall on them,” so, it seemed to me, were the Chilean miners a product of the land and culture that produced Pablo Neruda and his sublime awareness that “everything exists in the word.” In the superb Chilean wines described in the paragraphs following “Seven Words that Moved a World,” I hope you will find the flavors of the culture that produced them. How did 33 Chilean miners trapped a half mile underground in dark, sweltering conditions for 17 dreadful days, the food scanty, the water foul-tasting, and with no way of knowing would they ever be found—not only survive but survive in good health and good spirits? The clue to the answer resides in the seven profoundly simple words they sent to the top with the first drill bit that broke into their safe room: “Estamos bien en el refugio, los 33.” It seemed unbelievable. After such an extended ordeal, how could they be both alive and well, all 33? Yet they were, as the first video camera images revealed. Visible in the video were 33 strong and serenely calm men, their bodies and faces dirt-smudged, yet all physically healthy and seemingly at peace with themselves and each other as they moved about in their safe chamber. Clad only in underwear, and with expressions of relief, even joy, on their faces, they were just as their seven words said they were—alive and well, all 33. After an additional seven and a half weeks below ground, during which time the world mobilized to find a way to get them to safety, they were winched to the surface, one by one, in the narrow rescue cage, and when they stepped out of this capsule named “Fenix,” it became apparent that their survival was a testament to the richness of their personal lives and the humble dignity with which they lived—at work, at home, and in their social connections. Out of this life was woven into their DNA the ability to form a little community within their security chamber that enabled them to keep hope alive for those 17 terrifying days when all might have seemed lost, and to survive in wellness and good spirits on their meager supplies. And when found, to say so in just seven thrilling words: “Estamos bien en el refugio, los 33.” Just seven words declaring the safety, the location, and the well-being of all 33, seven words so strongly and beautifully penned that copies of the note later on became gifts to heads of State around the world. Seven words in which they said what was needed to be said, and nothing more. In a world where we are bombarded daily with streams of meaningless words, the power, beauty, and utter simplicity of these seven words sent up from the depths of the earth declaring the well-being of the miners lost to the world for 17 days still moves me almost to tears each time I read them. And, it seems, they equally touched the world deeply. But that is NOT all they had to say! What they said, actually, was a complete story in seven words that exactly stated their conditions, thus providing everything that the rescuers and their families above ground needed to know—their state of health (well), where they were (in the security chamber), and how many of them there were (all 33). and took flight with the lips and mouth. “Later on, meaning fills the word. negation, destruction, death . . . In this poem written in the 1950s, it is as if Neruda were anticipating the note from the miners, their seven words filled with their lives and telling the story of their birth, their struggles through hope, strength, clarity of purpose, and of their despair and their struggle against destruction and death. In today’s world of so much meaningless chatter, this respect for the power and beauty of words is nearly lost. People micro-blog in various forms of cryptic shorthand—“how r u?” or else they spew incessant streams of verbiage that are utterly devoid of meaning. Yet the miners in seven simple words said all that was pertinent at the moment of their discovery. Amazing as it seemed, they had survived, they were well all of them, in their safety chamber—and that was all that mattered. Simply amazing. Yet not so simple, not so amazing, when one considers that the culture that bred and reared these brave and dignified men is the same culture that produced Pablo Neruda. These 33 miners not only survived their terrible ordeal; they survived well! There were two miracles in the final hours of the spectacular rescue of the 33 trapped Chilean miners: the first, their state of well-being as they stepped one by one from their rescue capsule; and second, the power of just seven thrilling words, simply penned, to mobilize the world to come to their rescue! 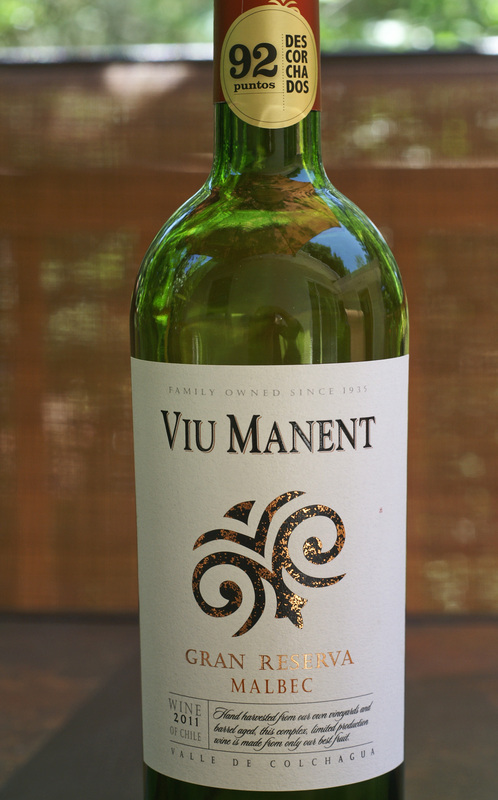 • Malbec, Viu Manent Estate Collection, Reserva, 2011 Chile ($9). From the label : Valle de Colchagua, Chile: Intensely purple in colour. On the nose this wine exhibits notes of blueberry, black cherry and moist soil. In the mouth flavours of freshly picked boysenberry, raspberry and blackberry give way to notes of sweet spices and sweet mocha, combine a fresh acidity and soft tannins to give a long and balanced finish. Ready to drink now or cellar for up to 2 years. One thing to always remember when buying wines: Price is NOT a score! The price of a bottle of wine is never a reflection of the quality of wine inside that bottle. Three basic factors go into the price of a bottle of wine no matter what the wine is or where it is produced. You have the cost of the grapes, the cost of equipment and labor necessary for their harvest and processing, and the cost of the bottle the wine is put into when it is finished. 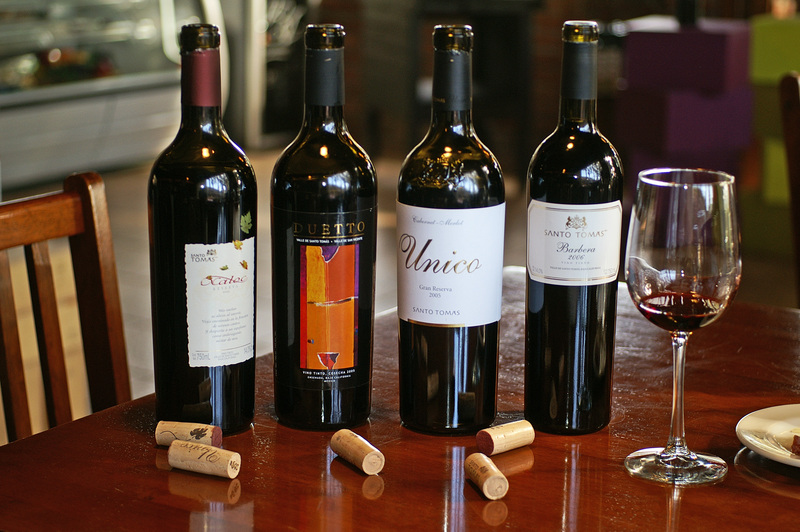 The following five red wines are all from vineyards considered best suited to the variety, and all have been made in accordance with the best winemaking practices for their regions and varieties. The price per bottle, on average, varies from almost $100 US to under $10 US. •	Donnafugata 2007 “Mille e una Notte” Nero d’Avalo (Sicilia), sourced from Sicily’s indigenous Nero d’Avalo grapes, recommended retail price $90 US. •	Viu Manent 2011 Gran Reserva Malbec (Chile), sourced from established vines averaging 15 years in Valle de Colchagua, priced at $8. If you consider that each of these wines is priced exactly right in accordance with the criteria provided above, and that the prices do not reflect quality, then how would you go about making the best choice among them for your dining occasion? Well, that’s where the fun begins: you have to taste them! If upon tasting these wines you decide that the Donnafugata “Mille e una Notte” Nero d’Avalo from Sicily is the one you like the best (it is a gorgeous wine; I’ve tasted it, and met the winemaker), then do you like it enough to pay between 3 and 11 times more than for the other selections, which are also lovely wines, understanding that probably at least $30 of that $90 bottle price of the Donnafugata goes towards winery aesthetics and marketing? Because price is not a score! Not that scores, for that matter, are of much use, either. “Our Zinfandel is about terroir,” said George Hendry, owner of Hendry Vineyards on the Napa Valley benchlands just off Redwood Road at the north end of the city of Napa. 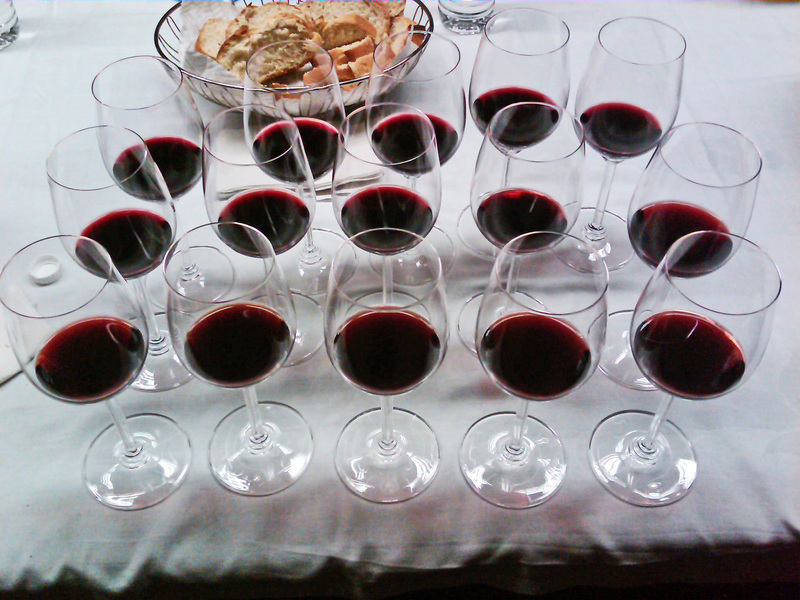 As it turned out, it’s also about clonal distinctions in Zinfandel. My third and most recent example of wines that stop conversation was the Hendry Vineyards estate 2003 Block 28 Zinfandel ($35). I was hosting visitors from Montreal, Canada, just one year ago (2012), and tucked a bottle of this wine under my arm as we left my house for dinner in downtown Napa. While we were looking over the menu, our waitperson opened the bottle and decanted it. Once we had placed our orders, he poured out the wine. While checking the aroma and trying a little sip to be sure the wine wasn’t “corked,” I became aware that a silence had fallen over our table. I glanced up and saw looks of bliss on the faces of my companions. “It’s pretty good,” I said. “It’s at peak bottle age.” My companions only looked at me, seeming to have lost their power of speech. Finally, one of them exclaimed, “This is incredible, exactly as I always thought a Zinfandel should taste. It’s just amazing.” Then more silence. I, too, was struck by how luscious and beautiful this wine was. It had a deep ruby purple color, aromas of dark plums and blackberries, hints of chocolate, something like allspice and fragrant earth and more, was velvety in the mouth, and had a lingering finish. It was impossible to describe in words the sensory experience of this wine without rendering it simply prosaic. Once again, silence best expressed what was happening—simply a brush with the mystery and magic of a wine, in this case Zinfandel, at its finest—what happens when a well-chosen clonal selection of budwood is propagated in a piece of earth best suited to it, and the winemaking is done in harmony with these two factors. Block 28 Zinfandel was propagated in 1995 from a field selection of budwood taken from the historic Brandlin Vineyard, situated on Mount Veeder a few miles above Hendry Vineyard. Established on St. George rootstock in exactly the same way and at the same time as was Block 22 from UC Davis clone # 2 in an adjoining block, Hendry had done this to discover if the budwood (clonal) source would make any noticeable difference in the wines from these side-by-side blocks, or would terroir prevail and even them out. The Zinfandel that Hendry had produced in past years from the Brandlin Vineyard was remarkably different from the Zinfandel from Block 7 (UC Davis clone #2). The first vintage from these two new vineyards was the 1997, when the vines were in their first crop year. Fortunate to be present as this uncorking, I was in great anticipation to see what distinctions these young wines, which had been harvested on the same day and vinified in the exactly same way, would reveal. I wasn’t left to wonder for long. Even as the wines were being poured, distinctions were obvious. The Block 22 was closed, yielding up only hints of delicate red berries and aromas of vanilla. The Block 28 had dramatic aromatics of dark spicy chocolate and briary earthy notes. The flavors were of dark berry fruits that seemed a mere suggestion of the potential awaiting the consumer who was patient enough to allow the wine a few additional years in the cellar. “The Block 28 distinguished itself immediately in the aromatics during fermentation. I was not ready for such dramatic difference as exists between this first vintage of the Brandlin and UC Davis Clone #2. I could not have imagined it” said Hendry. Nor was this a one-off phenomenon from very young vines. This clonal distinction has held, and while Hendry’s Block 22 is consistently a beautiful and elegant wine (as is his older Block 7 from the same UCD clone), it is still the Block 28 Zinfandel that is, for me, the stand-out Zinfandel between those two wines. And it still stops conversation when given sufficient time in the cellar to fully develop its luscious and dramatic potential. Although France is famous for its Bordeaux and Burgundy wines, it is a robust, earthy red wine from Madiran, a tiny AOC in South-West region of France, that I seek out each time I am in that country. 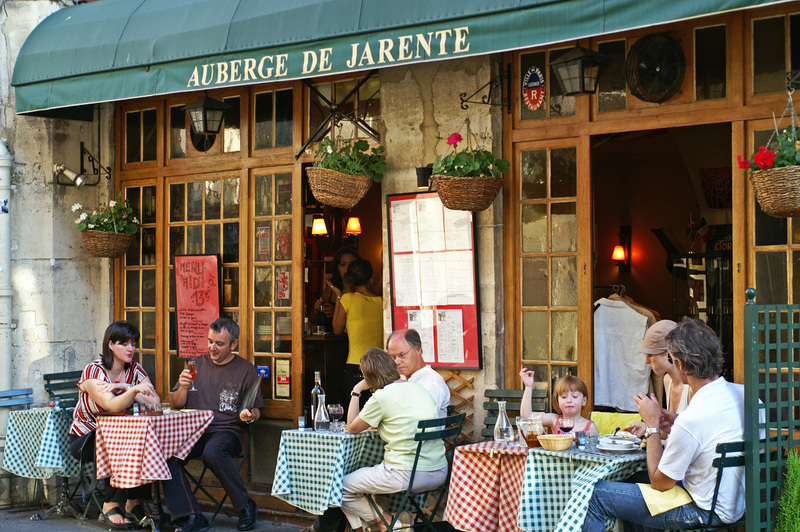 Introduced to me in 1999 during my first visit to Paris, in a French Basque café next to the little hotel I stay at in the Marias district, I was immediately smitten. I had ventured into this little restaurant a few days after my arrival in the City of Lights, and was greeted at the door by the charming Brit who owned it then with his Parisian wife. Taking it upon himself to oversee my dining experience, he seated me at a little table in a cozy corner of the tiny dining room, then presented me with a menu and a wine list, and did I have any questions. I asked for a recommendation of a nice red wine. He asked what sort of red wine did I prefer . . .un vin rouge fort (that is, a full bodied long-ageing red wine) or perhaps un Boujalais. I preferred un vin rouge fort, and so he presented me with a Madiran, which, he explained, was a perfect accompaniment with his French Basque style food. Made primarily from the Tannat grape (40% – 60%), Madirans need several years’ bottle age to soften the tannins this grape imparts, and give the luscious dark berry fruit time to mature and balance out and soften the dominant tannin component. On my fourth visit to Paris in 2006, I found a Chateau Montus 1995 Cuvee Prestige (made only in special years) in a small but well-stocked wine store on rue Saint Antoine for €38. Already 11 years old, it got an additional year in my own cellar before I shared it, in 2007, with my former neighbors. I had decanted the wine several hours before our dinner hour, then poured it out when the dinner was ready. Since the gentleman of the couple was German-born, I felt that he, at least, would appreciate this robust, inky-black, and tannic 12-year wine. (I wasn’t so sure about his American-born wife!) Well, perhaps the wine didn’t exactly stop conversation, but it certainly gave the gentleman pause when he first tasted it. As for me, my first taste of a Cuvée Prestige Madiran by this top Madiran producer left me speechless for several minutes, as I savored the depth, quality and multitude of flavors of this amazing wine. There were elements of dark complex bitter chocolate, an array of spices, rich luscious flavors of cassis, red fruit, and rich deep red plums, and an aroma of something like freshly turned dark earth. The tannins were fine (not harsh), the finish long and smooth. I had never before, nor since, tasted anything quite like it from any other producer anywhere. It was also the first wine I had decanted that left a tannic residue in the decorative indentations of the decanter that took overnight soaking with some concentrated dish detergent and the vigorous application of a good bottle brush to remove! I have yet to find a Chateau Montus or Chateau Bouscassé (owner Alain Brumont’s second Madiran house) Cuvée Prestige in any US wine store, but do find them on occasion in the Vintages section of Toronto’s (Canada) Liquor Control Board of Ontario (LCBO) stores. 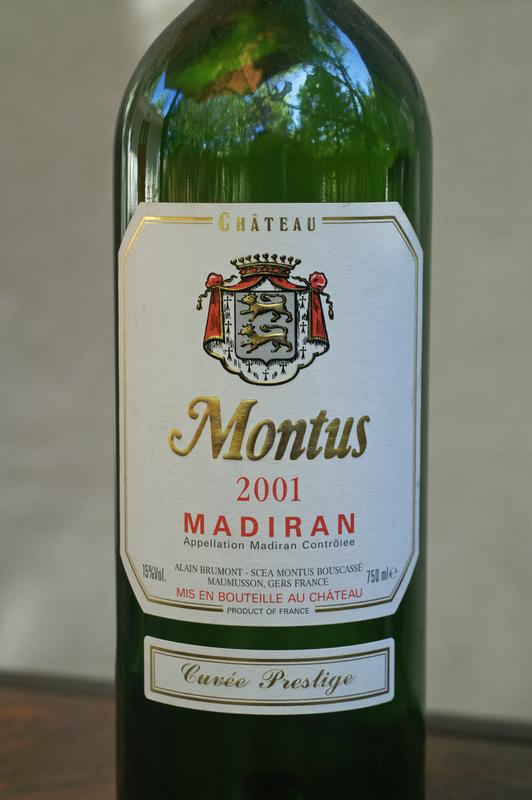 My last such find was a Chateau Montus 2001 Cuvée Prestige (about $60); it was equally amazing when I opened it in 2011. I have also found non-cuvée prestige Madirans from this producer (and from other respected Madiran producers), usually with 5 – 6 years’ bottle age, in Toronto LCBO’s Vintages and Montreal’s SAQ (Societé Alcohol de Québec) stores. The problem for American wine stores, I have been told, is that without proper bottle-ageing these wines are too tannic for the American palate, and that most Americans are too impatient to put them down for the necessary years, and that the unfamiliar appellation does not support the $50 – $70 price of the best samples. But for those willing to gives these wines the time they need to reach their potential, when it’s had that time, a Chateau Montus (or Chateau Bouscassé) Cuvée Prestige Madiran is a wine to behold. And because the Madiran region is, to borrow a word from a Paris wine merchant, “unheralded,” the cost of such a wine is a fraction of what comparable quality and age would cost from the more heralded regions. With each bottle of Madiran, I relive my first visit to Paris. I am now looking forward to visiting this remote region of S-W France, to walk through rows of historic Tannat vines, taste some grapes ripe from the vines, and grab a handful of the earth they grow in, to better appreciate the miracle that is the wine that comes from this important, if unheralded, AOC.